Do the batteries last long enough? Published on 21. August 2015. 0 Comments Tags: frugality, home-improvement, maintenance, personal finance. Next time you replace that battery, this date helps you determine whether the batteries lasted as long as you expected. Published on 24. June 2015. 0 Comments Tags: art, decoration, DIY, fun, home-improvement, linux, photos. The background for this idea was that we wanted to give a money gift at a wedding but we wanted it to be more than a card and an envelope. 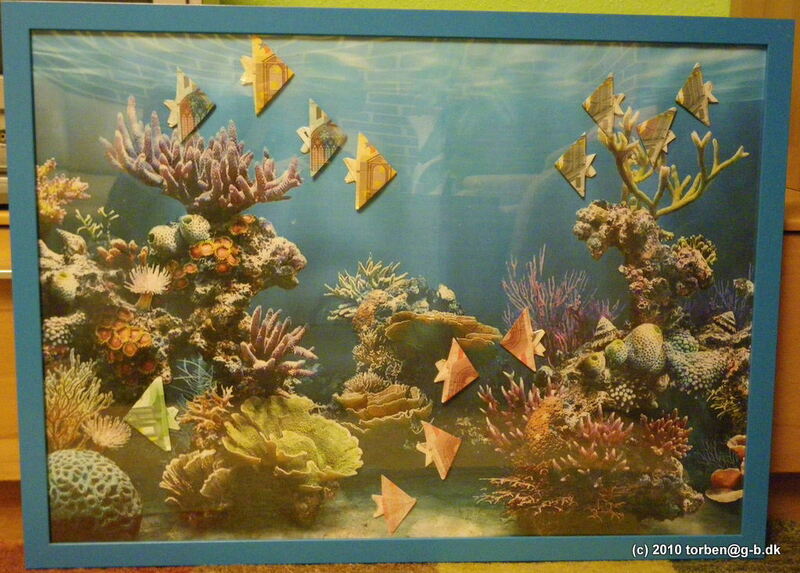 In essence, this is it: A framed poster featuring an aquarium and some fish. On closer inspection, the fish turn out to be origami made from bills of money. This works well because most currencies (except USD) have colorful bills.